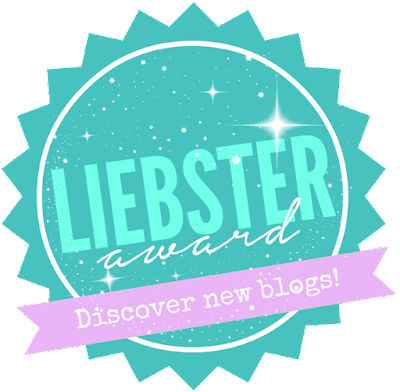 Caroline vs. World : The Liebster Award! I've been (surprisingly) nominated for the Liebster Award! Thank you so much to the beautiful Kay AND Raashi for the nominations. Check out their flawless blogs Shoes and Glitter and Raashi's blog. I love this idea of getting exposed to newer blogs, as I'm still pretty new to the blogging world myself. 1. Why did you decide to start your blog? 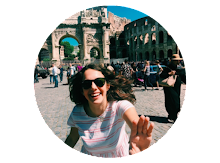 I started my blog honestly because I thought it would be fun! I also wanted to get more exposure to the online writing world since I hope to be a journalist when I'm older. I figured I might as well get started early! I'm not sure why, but the idea of sharing my life along with my beauty, fashion, and lifestyle tips seems so fun! 2. What is the main thing you love about blogging? The new, awesome people that I get to communicate and collaborate with. 3. Is there anything you dislike about blogging? Sometimes, it takes a lot of motivation to take and edit pictures and create posts, but I always manage to do it!! 4. What is the worst beauty product you've ever used? Neutrogena Stress Control Night Cleansing Pads. I usually love Neutrogena products but these pads just dried out my skin too much, even when I used moisturizer after using. 5. What is your favourite perfume? 6. What is the one beauty product you couldn't live without? I simply could not live without my Redken Curvaceous Shampoo and Conditioner. (does that count as a beauty product? lol) I would recommend this to anyone with naturally curly hair. It does miracles. 7. Tea or coffee? What are your favorites? 8. Do you have a quote, or an idea that you live by? If so, what is it? 9. What would be your dream job? Working as a writer/content creator for Buzzfeed, stationed in New York. 10. If you won the lottery, what would be your very first purchase? Lots and lots and lots of new clothes. 2. What is the best gift you've ever received? 3. Who is your favorite Disney princess? 4. Where is the most beautiful place you've ever been? 5. Any unique/unordinary talents or quirks? 7. What do you hope to be doing in 10 years? 9. Favorite song of all time? 10. Have you ever had a nickname? What is it? And (finally) here are my nominations (and some blogs that I love)! I can't wait to get to know more about you all! Loved reading this post, I'm doing journalism at the moment and love it so far - so nice to meet another journalism minded person! :) (I love Buzzfeed as well! Haha.). Love your quote, so, so important! Thank you so much for the nomination Caroline, I've made today's post all about it! Aw, so nice reading your responses to the questions! I've always wondered about the Neutrogena pads - so annoying that they dry your skin out! Guess I won't bother giving them a go! Also number 10 - would anyone ever do anything different?! Thanks so much again for nominating me, Caroline! Visit Caroline Koehn's profile on Pinterest.